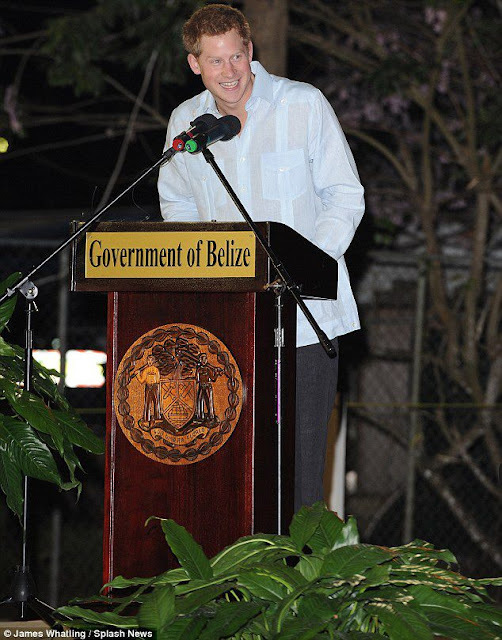 HRH, Prince Henry Charles Albert David touched down in Belize City today on his first official royal trip abroad as a representative for his grandmother, HRH, Queen Elizabeth II. 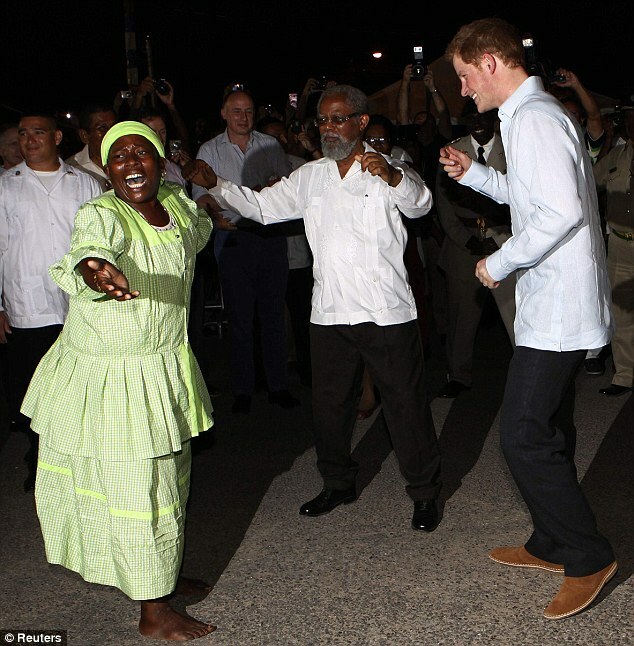 Harry’s arrival marked the start of the Queen’s Diamond Jubilee. 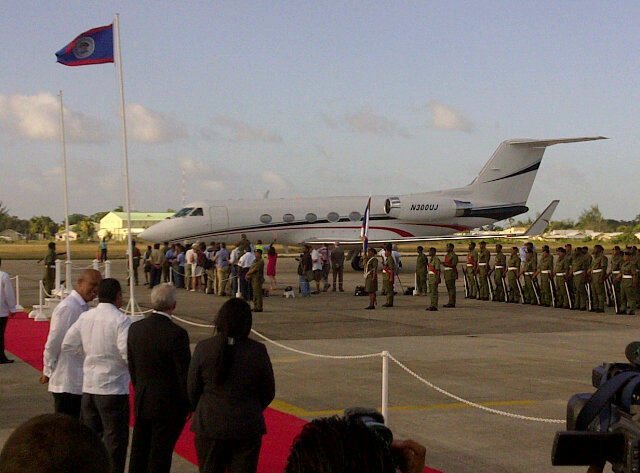 Moments after the plane landed, the Royal flag was handed over to an element of the Belize Defense Force (BDF), who hoisted the Royal Standard of Prince Henry of Wales. 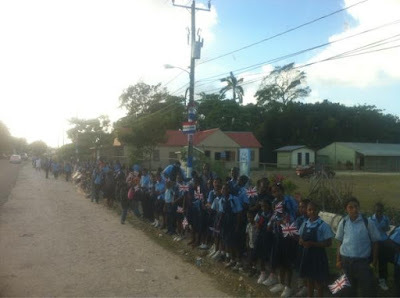 As tradition, once a member of the Royal Family is on an official visit, the Royal Standard is flown next to the Belizean flag. 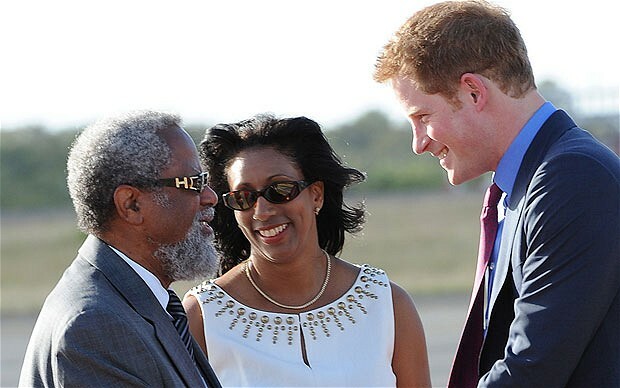 Before exiting the private jet Prince Harry was greeted onboard by Diane Lock, Chief of Protocol in the Ministry of Foreign Affairs. 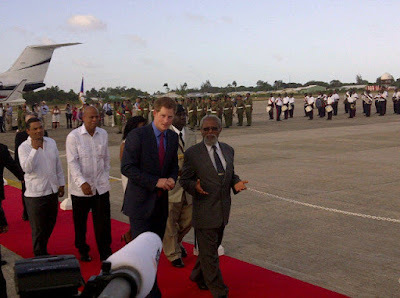 Lock then escorted a smiling, happy and enthusiastic Prince Harry off the plane where he was officially introduced to the Queen’s representative in Belize, Governor General Sir Colvin Young. 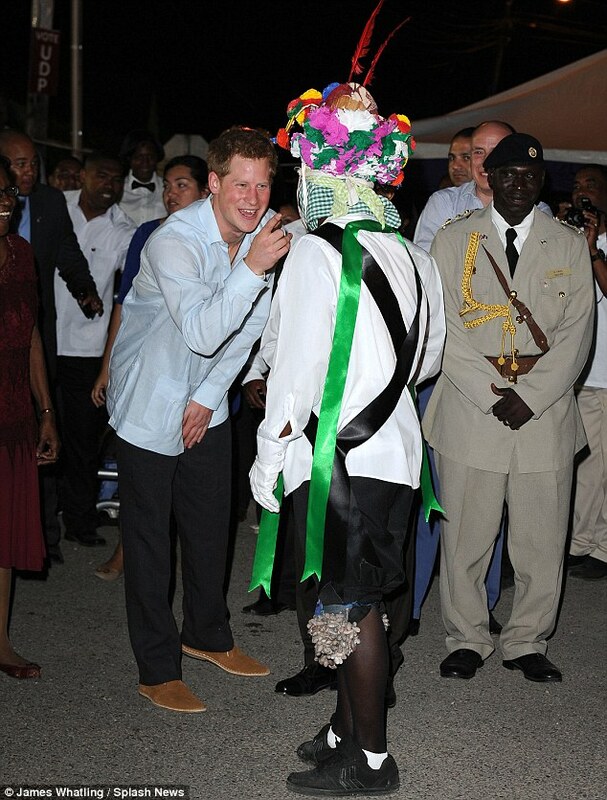 The Prince then proceeded to an elevated platform where he was presented with the Royal Salute followed by the Queen’s Anthem and the Belize National Anthem, which was performed by the official band of the BDF. 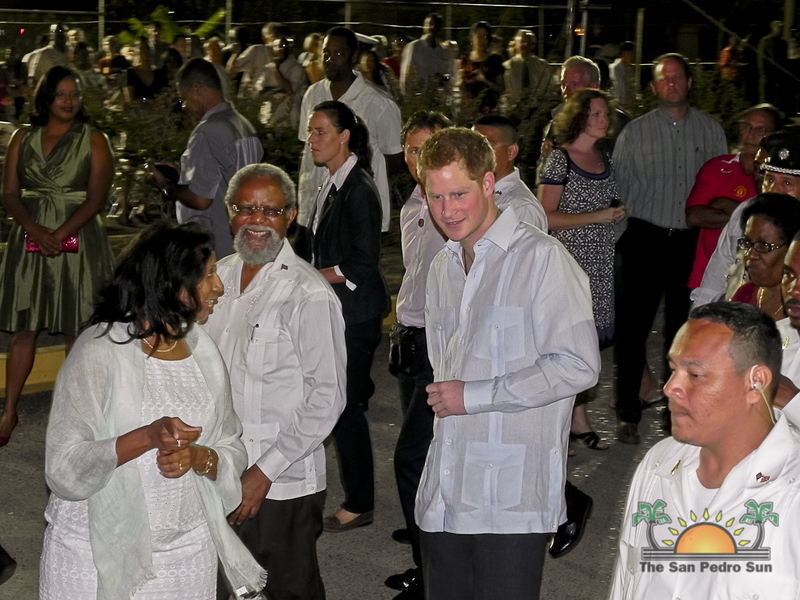 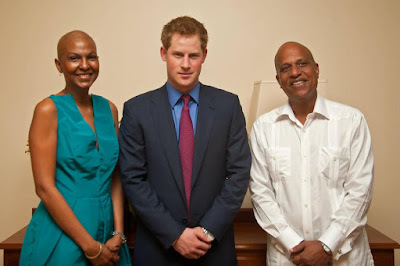 Accompanied by GG Young, the Prince was then introduced to the Prime Minister of Belize Hon. Dean Barrow who shook his hand and welcomed him to Belizean territories. 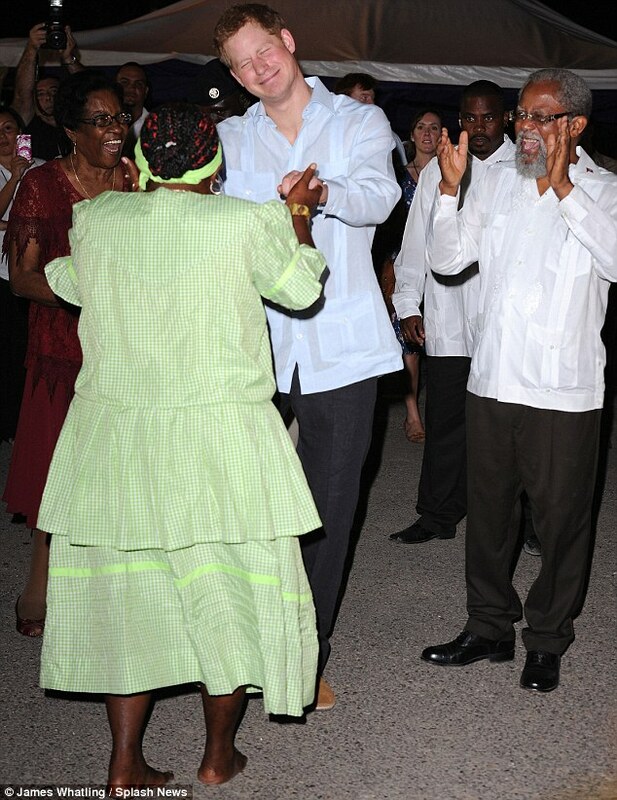 The Prince was also greeted, as a tradition in any official visit, by the Leader of the Opposition Francis Fonseca, after which the British High Commissioner to Belize HE Pat Ashworth was introduced. 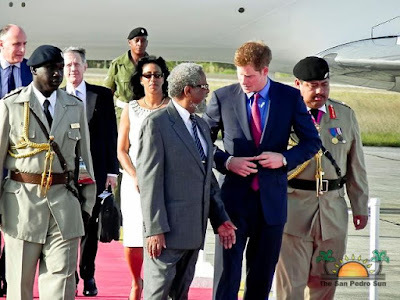 After brief pleasantries with the officials, the Prince was escorted to the VIP lounge at the airport. 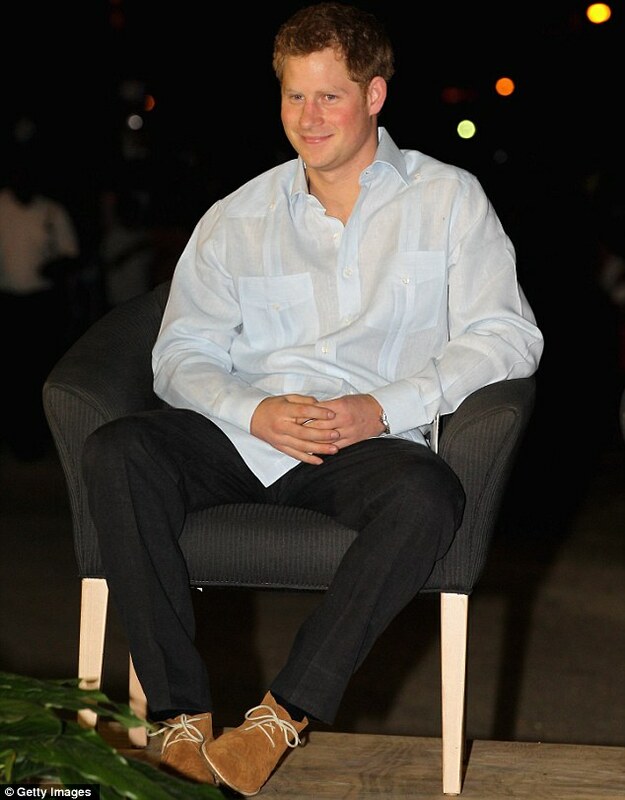 Once inside the VIP lounge, the young Prince met in private with the wife of PM Barrow, Kim Simplis Barrow. 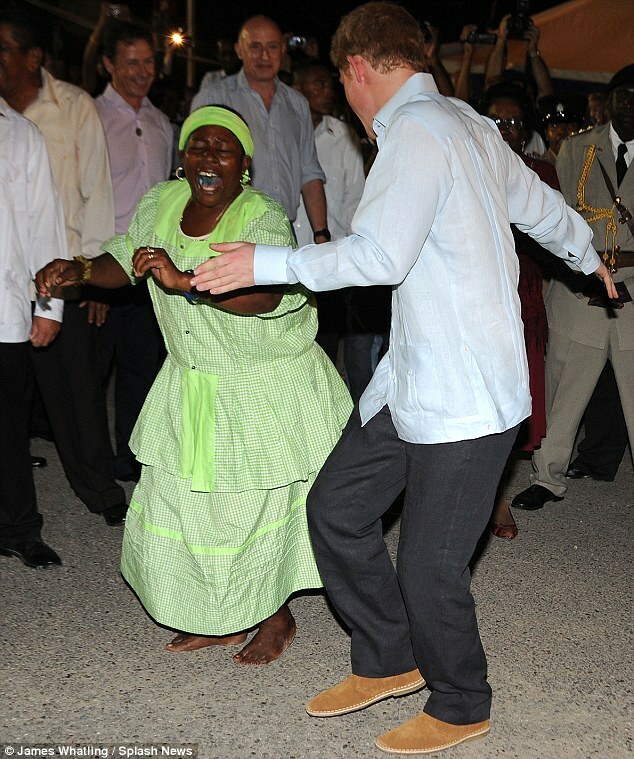 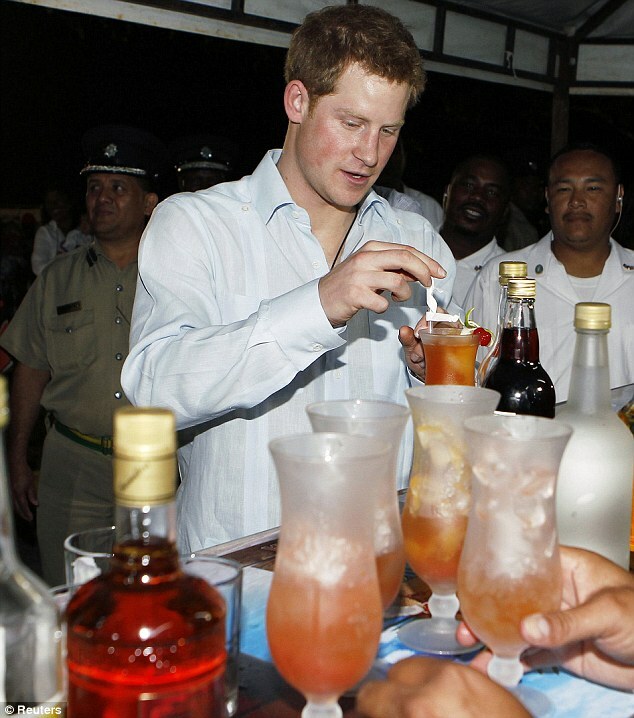 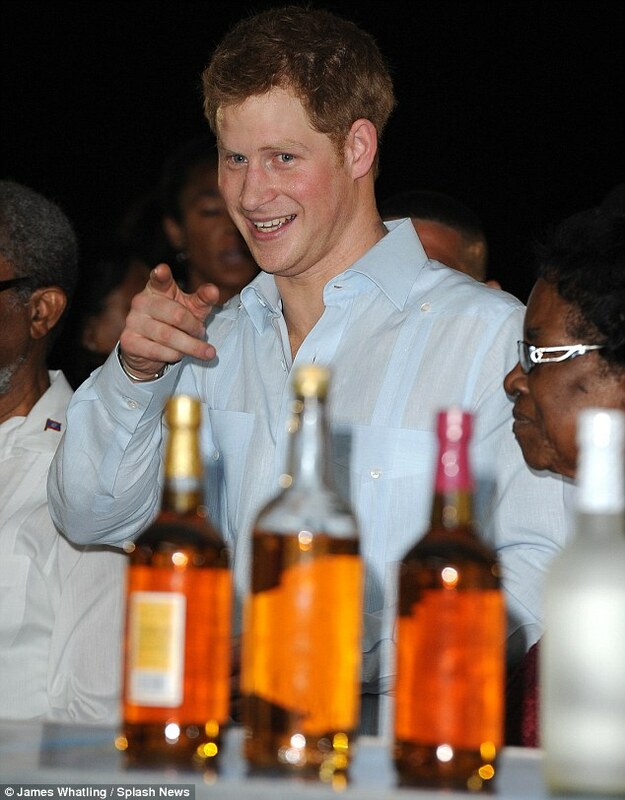 The meeting lasted less than ten minutes after which Prince Harry departed to Belmopan City shortly before 4:45PM. 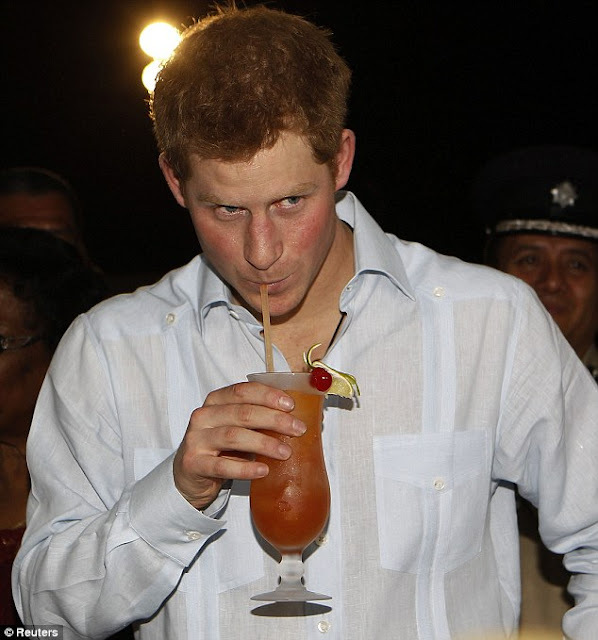 Prince Harry left to the capital of Belize, Belmopan in a convoy of vehicles headed by escorting motorcycles from the Belize Police Department. 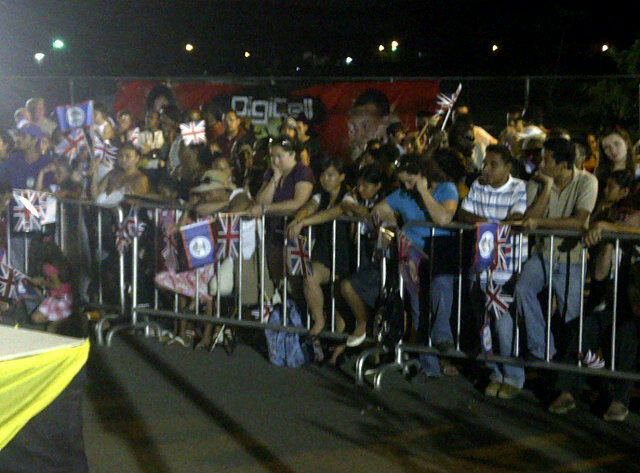 The Prince will be meeting with the Governor General of Belize at the GG’s residence after which he will deliver an official message on behalf of Queen Elizabeth II on the occasion of the Diamond Jubilee at a street party.